An extravagantly patterned folding cane, for the stick user who likes to make a statement. 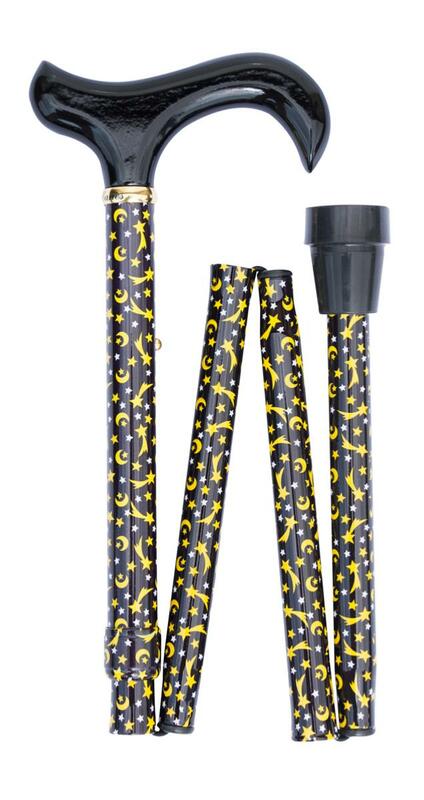 The black background features a design of yellow moons, yellow and white stars and yellow shooting stars. The black wood derby handle offers excellent support and the cane is adjustable in height form 85 to 95cm, making it suitable for a wide range of users. Fitted with a non-slip black rubber ferrule.